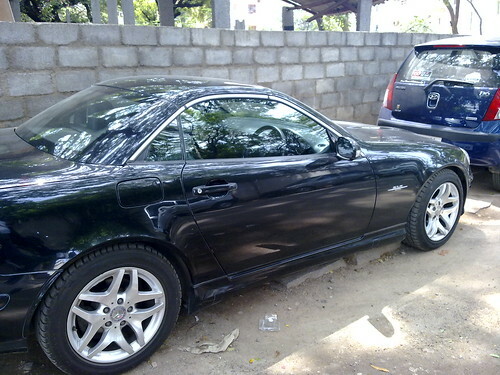 De Merc, originally uploaded by amulya. Woke up quite early today to go to a workshop at the British Library. However, when I got there they tell me that my confirmation email isn't worth much so I'd to just return cuz the seats were full. I reached there on the dot, which was brilliant for me - who is eternally late. So i was walking out and I see this merc there... haven't seen this model around for a while. Wish it were red though. I thought it was just me, but now i reckon its just human to lust on cars.